Back at work after a long event weekend I am still recovering… But I feel the need for some little update on here :). I will do an event recap later when I have a bit more stamina. 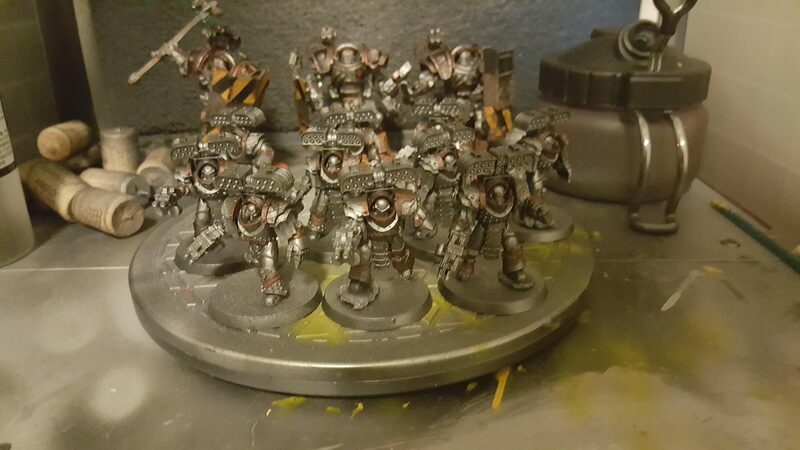 In the meantime here is a quick run through of my Tyrant Siege terminators from start to finish (who performed pretty well on the battlefield I might add)! 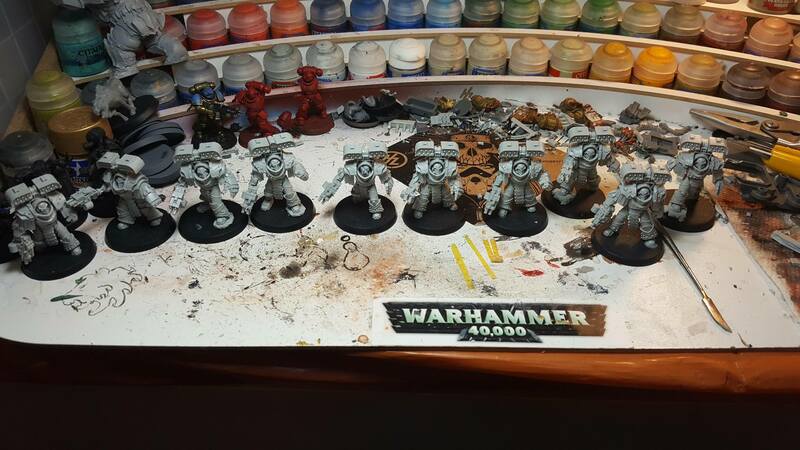 Here they are assembled and then based. 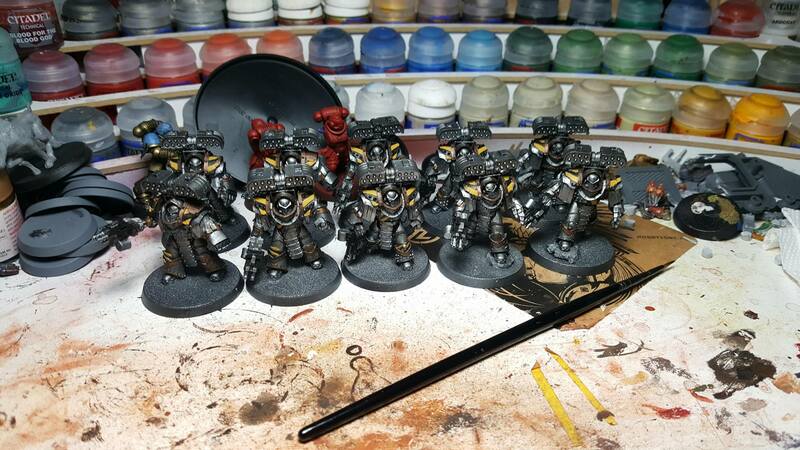 I based them with Valejo black metallic paint. Then Valejo air gunmetal, followed by a light Valejo air chrome. 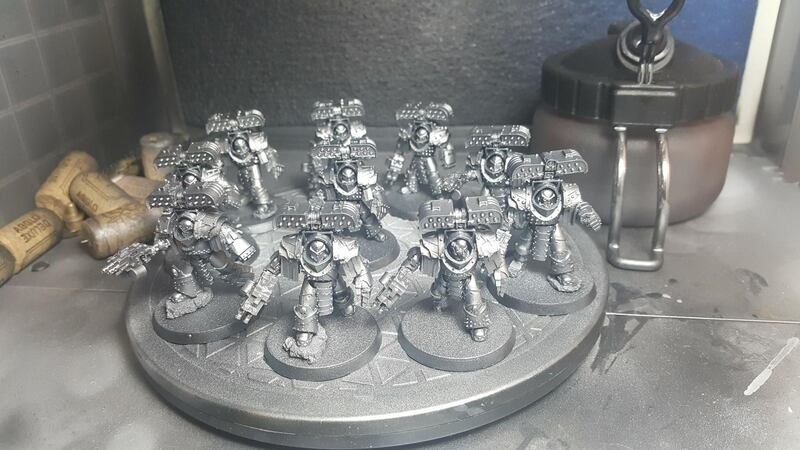 Next up I started going through all of their brass bits (trim mostly) and doing them up in GW brass (forget the name at the moment) mixed with some black to darken it up. 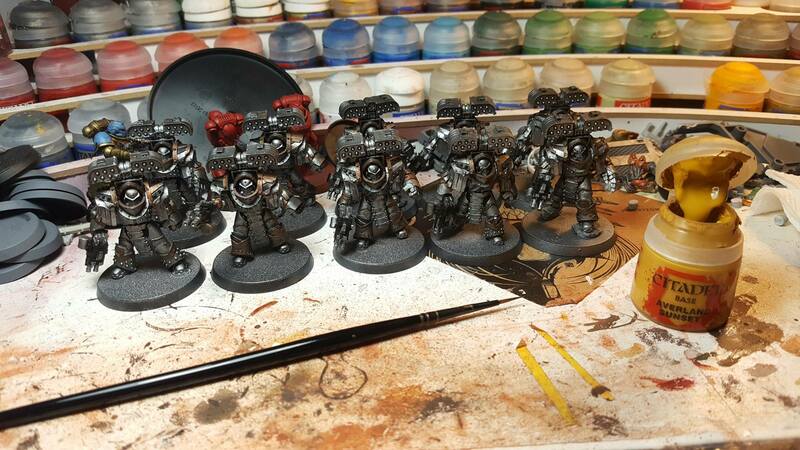 Following that I gave them a heavy black wash. Once dry i started doing all the black parts of the armour (chevrons, random pads, guns). Next was the yellows to complete the chevrons (thankfully these models have them all molded on. No free handing needed!! This is just averland sunset followed by yriel yellow and then a sepia wash. After that it was finishing details like the rockets and some lenses. Then basing which is just Martian Ironearth and Ironcrust kind of mixed together on the base. Then the weathering of some typhus corrosion and ryza rust plus doing paint chipping on the chevrons (also helps cover some mistakes)! 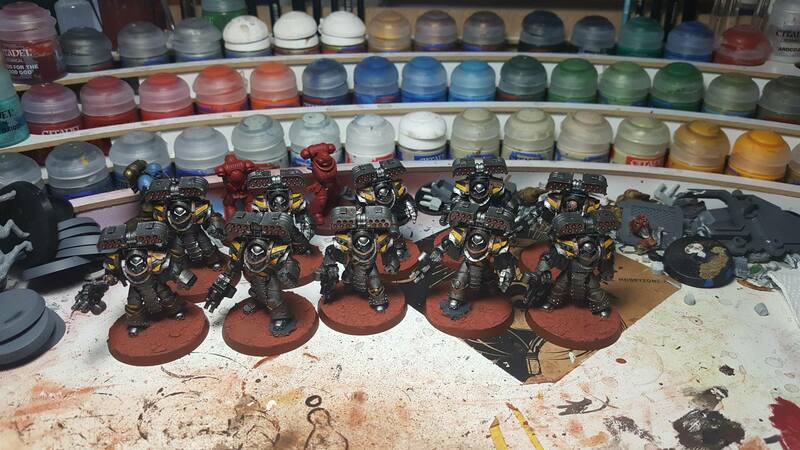 Finally I just had to finish the rims of the bases and good to go! Very happy with how they turned out in the end. They did pretty well on the table too and I liked how they performed. I have figured out some new tactics for them I will try next time :). Will give full accounts when I do my event wrap up.